According to reports, Microsoft will be extending its Sidewinder range with the addition of the Sidewinder X6 gaming keyboard later this year. 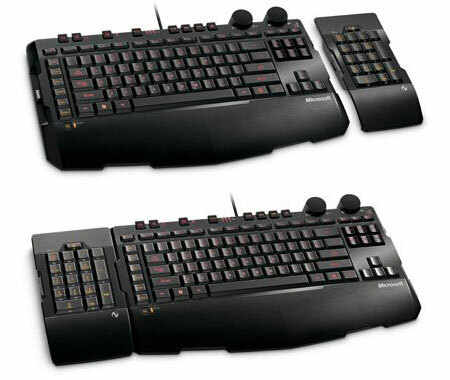 The Sidewinder X6, pictured below, features a removable numpad which can be attached to either side of the keyboard, making it suited to left and right handed users on a variety of games. In addition, there's a row of keys dedicated to binding game macros and a "cruise control" feature that'll repeat keystrokes without the need for holding down a key. Little else is known about the keyboard, and nobody has quite managed to figure out the purpose of the two round eyes at the top. Nonetheless, expect an official announcement from Microsoft in the near future as the Sidewinder X6 is expected to launch in September at around $80. 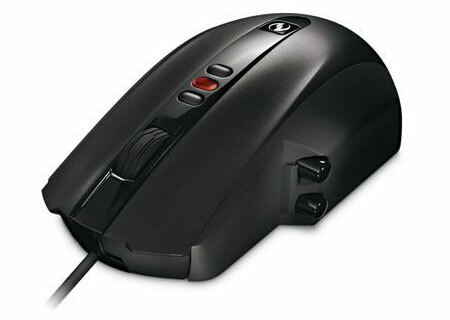 The existing Sidewinder X5 mouse will also be getting a revamp. Though, it isn't anything to write home about. The mouse will be losing its variable weight ability and its sensitivity LCD. In return, the new-and-lighter X5 will land at a lower price tag of $59.95.